Very prominent arterial road location. Adjacent to purpose built shops including a Spar which incorporates Greggs. 50 years as hairdressers but would suit alternative uses. GF approx. 81 sqm 869 sq ft, 10 workstations. Large recently refurbished 3 bed flat. Flat income producing, ground floor vacant possession. LOCATION The subject property is located on Ashby Road which is one of the towns main arterial roads which splits the town in a north, south direction. 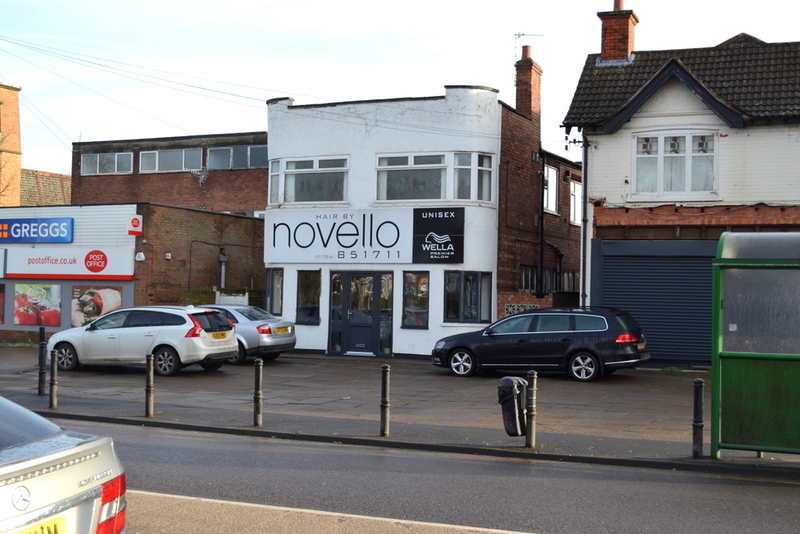 This location is approximately midway between Scunthorpe town centre and the Ashby High Street retail area. The property is at a major traffic junction with Ashby Road, West Common Lane and Old Brumby Street. Adjacent to the subject property is a parade of purpose built shops which includes a Spar incorporating Greggs, other users include an Ice cream parlour, Chinese takeaway, Health and Beauty unit. Also on Old Brumby Street is further retail and food outlets and a Chiropractic. The above units benefit from off street parking. In close proximity is a petrol station, two dentists, pharmacists and a church. John Leggott Six Form College is within striking distance with the aforementioned shops providing a draw at different times of the day. This area is also backed up by a densely populated residential area. DESCRIPTION The property has an appealing, curved, rendered and painted front elevation with other elevations being of brick. Flat roof with the accommodation over two floors. GROUND FLOOR This has been used as a hairdressers for in excess of 50 years and comprises of salon with ten work stations and feature reception. Raised wash area, laminate floor with false ceiling and spot lighting. To the rear is WC, kitchen, drying room and storage. FIRST FLOOR The flat has recently been refurbished and comprises of a large lounge, kitchen with modern units, bathroom, separate WC, two double and one single bedroom. The property is entered in the rating list as Shop & Premises. Shop rateable value £4,900 per annum. Flat council tax band A. Interested parties are advised to contact the Local Rating Authority as to whether any rate relief is available. Electricity, water and drainage are understood to be connected to the subject property. Gas central heating to the flat. Services have not been tested and prospective occupiers are advised to check the adequacy of the supply for their intended use. EPC C 57. The subject property is available by way of a freehold sale with vacant possession to the ground floor. The first floor is tenanted on an Assured Shorthold Tenancy with the tenant paying £575 pcm. As noted above the property is being sold with vacant possession to the ground floor and a purchaser can therefore use the premises as a hairdressing salon taking advantage of fittings. Alternatively, the accommodation is suitable for a wide variety of retail uses although other uses may require planning permission.